Last ten days to go for 2015. Some people will miss the finish line and end up short of their goals. No amount of review meets can suppress the regret that pops up ‘I should have done this’ and ‘I could have done that’. Success like failure is a personal thing. List out all your ‘I could have’s’ and ‘I should have’s’ and put them into action right away. Pull up all the stops, put away all the inhibitions, silence the fears and take that leap of faith into giving your all and aiming for the best performance of your life. And no matter what happens, no matter how many ‘no’s’ or disappointments you may face on an hourly or daily basis, DO NOT take your eyes off the goal. Your world rests on your vision. If you take your eyes off the road and look to the left for 3 seconds, your car will move left by 3 degrees. Imagine if you took your eyes off the road for 10 seconds. You would be dead. Stay focused. Don’t let the obstacles deter you. Let the vision of your goal inspire you. Use your urgency to your advantage. Don’t let the urgency of achievement make you desperate. No one likes desperate people, whether in business or in love. Use your urgency to involve people in your purpose. I was at the traffic signal one time and a street hawker knocked my window. He told me that he had the last box of strawberries to sell and if could take it he would make it in time to catch the last train home, which was 2 hours out of the city. I bought it. I had no plan to buy the strawberries but didn’t mind the purchase as it had a higher satisfaction attached to it. My box of strawberries got someone’s daddy home. When the water level is rising more rapidly than your performance, it’s time for SOS action. Collaborate with your seniors. Don’t be afraid to meet up with the senior leadership and borrow their experience and viewpoint for ideas. They have walked in your shoes after all and they have very high stakes in your performance. I have seen teams that work tightly with the leadership have very high chances of success. If the inflow of numbers is still eluding you, it’s time to push the pedal on the outflow. Inflow equals outflow. This is the law of the universe. What you give, you get in abundance. What goes around comes around. Your only focus should be outflow, the inflow will come, by law, it’s guaranteed. Decide the proportion of inflow you want and adjust the proportion of the outflow. Have faith in your purpose. Treat everyone as a beneficiary of that purpose. You can never underestimate the power of goodness. Just because you don’t know him doesn’t mean that the person you met randomly at the airport cannot be a potential customer. Treat people the way you would treat your highest paying customer and you will make one as you do. Just because I am not yet your customer, should not stop you from making me a beneficiary of what you do by involving me and aligning me to your purpose. Regret is a killer. Kill it now with determination to do what you know is right, what you know you should do, and following it through till the end. Success is waiting for those who reach the finish line. Get there to put a deserving closure to the sacrifices, you and your family made the whole year long. Fear of failure ranks right next to the fear of death. In fact the fear of failure seeps so deep in the minds of people and infects their enthusiasm and self-belief so severely that they had rather kill their dreams in retreat than risk success by trying. If you don’t take massive action now, your fear of failure will soon become a reality. Purpose and practice are the best antidotes for fear. When fear raises its sinister head and attempts to pull you back, listen to your purpose, keep your eyes on the goal. When the sprint runner is at the final race in the Olympics, he knows that there is no room for fear. When the time for performance is due, all you need is your purpose to guide you and not your fears to grind you. Don’t let your fears set you back by years for recovering from its impact sometimes takes away a lifetime. When the flag has been waved all you need to focus on is to run to the finish line. If you are here, then you can win. Your presence at your job is evidence of your ability to succeed and deliver results. I don’t know anyone who hires people to fail. If you find yourself succumbing to fear of failure, hold on to the confidence of your seniors. They have more stakes in your victory than you. Borrow confidence if you must, but don’t bow to your fears. When fear seeps into your heart, kill it with massive action. Don’t think. Act. I feel that people give their fears more time than they deserve. Contemplation causes fear to grow. The more time you give it, the stronger it becomes. When you feel low, make another client call, go out for another meeting, send out another email. For every signal of fear combat it with action. When the fear grows stronger and the pressure mounts—work harder. Can you run 100 meters in 11 seconds? If the building you were standing under is about to fall and safety is 100 meters away, I can bet that chances are high that you would make it there in 11 seconds. Fear is a powerful emotion. It can be a high combustion fuel to rocket you faster to success. Pressure is a call for super human action. It is an invitation to join the league of extra ordinary men and women who have created history. Do you have it in you to deliver outstanding results? If you can harness fear to fuel your practice and passion, it will push you far beyond what you think is possible. Dare to win don’t fear to lose. Failure will come even to those who don’t try. But success only comes to those who do. The 10% rule in sales says that if you reach out to 10 people for your services or product, at least one will say yes. Well, some people may be happy with the 10% but my focus is on the majority 90%. My curiosity is how I can take this bulk and nudge them from a ‘no’ to a ‘yes’? The answer I found lies in the basics. People say ‘no’ when they have no need for your product or services. That for you is critical feedback because you obviously got in touch with them because you thought that they were potential clients but they think they don’t need what you have to offer. Work at bridging that gap. If you can close that divide, you have a conversion. Investigate, question, learn and understand your potential clients better. Maybe you need to change your pitch. Maybe you missed to highlight some features about what you do. Maybe you need to win their trust. Find out and fill that blank and you will move closer to a ‘yes’. People say ‘no’ when there is no urgency to buy. This is even more dangerous for your performance because you have probably created the need and delivered the information but since you failed to create the urgency, they will probably buy at a later day, and that probably will not be from you. Create the urgency for the sale. Give a discount if that is allowed. Make a special allowance. Give them an extra perk if it is permissible to urge them to buy. Use your creativity to create urgency. 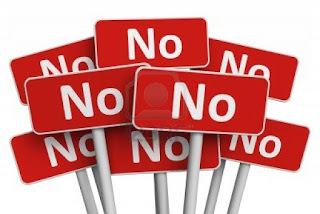 People say ‘no’ when they do not have the authority to say ‘yes’. They may not even bother to tell you that they are not the right person to make that decision. Find out who is and contact that person. It is important to speak to the decision makers if you want to make a sale. And what would be smart is to get some tips about the decision maker so you have a selling advantage. “Can you tell me a little more about your boss?” will open doors for you for more opportunities than the one you have at hand. If that fails too, what stops you from asking for references? Please understand that people don’t like to say no. There is a certain inexplicable embarrassment that goes in telling someone off. So if you ask for references you are giving an opportunity of relief for the other person to help you. And when ‘no’ means ‘no’, don’t give up. 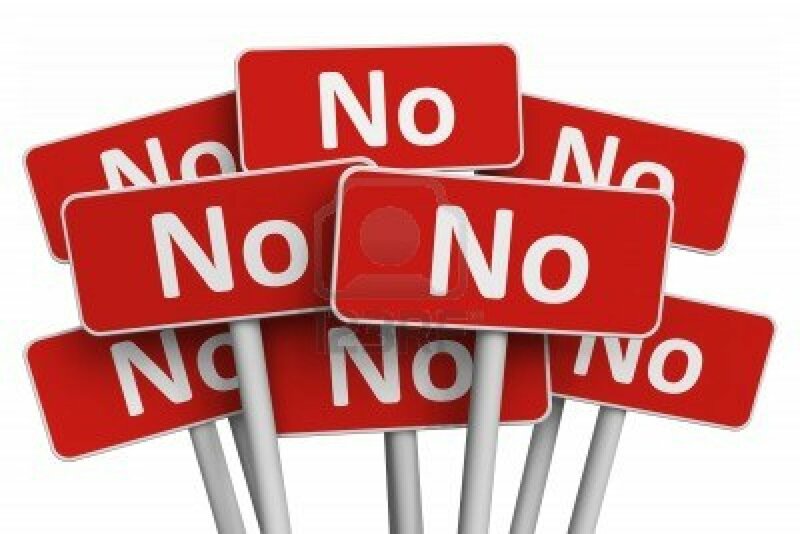 For whatever reasons unexplained or unavoidable, a ‘no sale’ today does not mean a ‘no sale’ forever. Keep the person in view and keep in touch. Find ways to add value to the person. Find ways to be a part of their purpose. The returns that you will eventually get, even if that means having made a good friend, will outweigh the temporary loss you felt under the disappointment of the ‘no’. With three weeks to go for the year-end, gear up with all your strengths and energy and make the magic happen—because you can—because the persistent always win. 2015 is nearing the end, the last 30 days to go. The pressure is mounting professionally and personally to close the year with a bang. Let the end of the year mark a celebration of achievement and victory. And bring in the New Year with the certainty to take that accomplishment to newer heights. Hope rests on the able shoulders of performance. If you can perform and perform to win, then there is hope for the future. Hope is not an idle phenomenon that delivers results to those who wait. Take charge. Take action. 10X your energy and output and put your performance on a power drive. The game gets exciting when the goal seems tougher than the time left to achieve it. The adrenaline gets going when the pressure is high. Creativity comes to its best when the stakes are rising. And you discover a new side; a winner’s side in you when you are pushed to deliver beyond what you think is possible. The good news about your goals is that the time is not up yet. If you stretch beyond yourself and march out with an unwavering determination to accomplish that which you had set for yourself, it can still be yours. Cut the distraction. Put a DND on things that you want to do but are not in alignment with your goals at the moment. Put the parties, the long weekends and other indulgences off by a month. You will wish you had if you don’t meet your own expectations. Build a laser sharp focus. The only thing that should exist for you should be your goal. That’s all you hear, see, breathe, eat, sleep. Energy flows where attention goes. What you put your attention on grows, and vice versa. Collaborate, synergize and team up. If you have wavering confidence in your own ability to deliver in this last lap, don’t hold yourself back from collaborating with others. 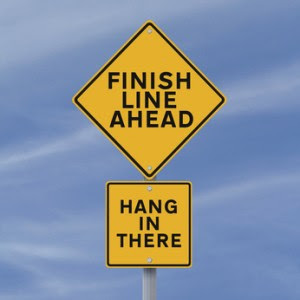 Reach out to your colleagues, seniors or even friends who will help you or maybe just push you and encourage you to stay on track and reach the finish line. Success builds on success. And therefore ending the year on a note of victory is imperative. You would then step into the New Year with renewed self- confidence, eager to create a new game to win. Remember, its not over till its over. There is redemptive power in making a decision. And it’s never too late. Decide to win, and you are already half way there. 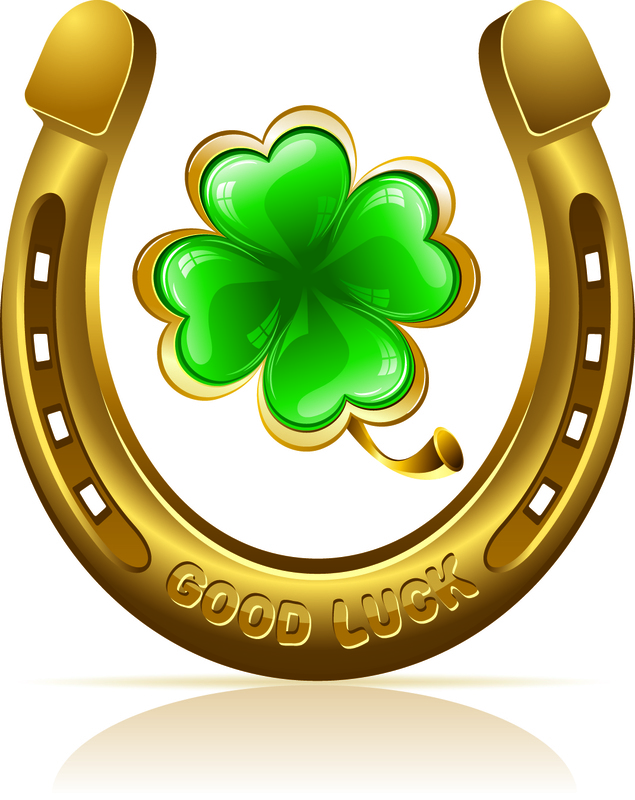 I believe that luck is a matter of intention, strategic action and abundance of outflow. If you really want it and are willing to work on it and if you create enough outflow on it, you will get the results you desired. Luck isn’t really an act of randomity. Getting something for nothing is the general definition of luck by the people who have convinced themselves that circumstances are bigger than their ability to overcome them. There sure are people who were hit by that stroke of luck but they don’t survive long with it. So how does one get lucky? By pushing it. Push your luck. What is the worst that can happen that isn’t happening already? If you want work, ask for work. What is the worst that can happen? You wont get it. But then you don’t have it anyway so asking isn’t going to make it any worse. Luck Formula #1 - Outflow equals inflow: If you want to create more clients, if you want to sell more, if you want to earn more, go out and create a bigger outflow. If twenty no’s bring you one yes, then if you want ten yesses, you need to wade through two hundred no’s. That’s the only math you need to be good at to see success. When you see the guy who got ten yesses, you think he is lucky. If you look close you will find the one hundred and ninety no’s he discarded to get to the success you so envy today. Luck Formula # 2 – Negotiate, push your luck: Even when you are in a tight spot, negotiate. Don’t settle for less without pushing your luck first. If the client doesn’t want to buy what you are selling, ask for a reference. If he asks for a discount, push for him to buy two to justify the lowered price. If the client doesn’t want to buy from you at all, make a friend. Either way get something out of that interaction. Put yourself in the habit of pushing your luck and you will get lucky more often. 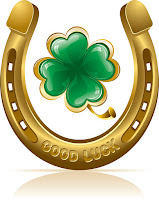 Luck Formula # 3 – Positivity is the breeding ground for luck: Don’t compare yourself with failures and negativity. Use pitfalls and discouragement to find points of improvement. Don’t trap yourself with the question, “What did I do wrong?” the question that will get you lucky is “How can I do this better the next time around?” Dig for betterment, fish for positive correction, go for higher standards and you will be ahead of your own expectations. The goal has been set, the agreement has been made, the action has been aligned – and yet the numbers are frighteningly apart. The major chunk of the time has been spent, and the countdown to extreme stress has begun. What needed a reasonable amount of time to execute and achieve has come to the bare minimum quota of the last lap, the last week, the last day, the last hour. How do you still make it to the finish line? How do you still get your foot in the door and make it to the world that awaits on the other side of mediocrity? 1. Wake up and smell the coffee. If you are on the last lap and you still have a sizable chunk of deliverables on your plate, you are in deep trouble. Wake up. Take charge. Get real. Put everything else aside and with one track focus get on top of your game. In the literal sense put a DND sign on everything that is not related to work. 2. Be aware of consequences. Be fully aware on how your non-achievement will impact your career and your self-confidence. Your future progress is dependent upon your current successes. Failure to deliver expectations at work is not just slowing your progress but impeding it altogether. You don’t fail the organization; you fail your own future. The organization will get another employee, where will you take your future? 3. Be aware of rewards. You came to work to learn, to grow and to be a success. Promotions, incentives, bonuses and perks are available to those who deliver. Success brings with it guaranteed rewards even if they are not tangible at the moment. The ability to turn the tables, to achieve against all odds, to make things go right is an ability that is the secret ingredient in all successful actions. To master that and to be at the source of that is a guarantee of success wherever you go. 4. Be aggressive. When the water is gushing to your neck and the pressure is building up, don’t be afraid to push people to close the deal. Even if you have to pull them into a discount, or offer a freebie, or a special gift at your personal expense, use every card that you have or may have to borrow to make the numbers happen. 5. Pull all strings. Go to every length to make things happen. Ask favors if necessary. Go to your senior if need be to ask his intervention. Involve friends to help out, request colleagues to fill in, solicit help from family; do whatever it takes to get the job done. Don’t be afraid to bring people into your success. 6. Break all rules. If what you have done so far hasn’t worked yet and the clock is ticking on the bomb of failure it’s time to break all the rules. Do what ‘you’ think is right and take responsibility for your actions. You know the market better and the situation better because you are ‘in’ it and sometimes that gives you a better perspective and chance at making the right decision than your seniors. Make that move. 7. Ask for help and ideas. Don’t hesitate in asking for help when you see trouble ahead. People in general like to help. It makes them feel big and it makes them feel important. Asking for help doesn’t make you small; it makes you humble in sharing the credit with people when you make it to the finish line. 8. Eat, sleep and breathe success. Don’t stop till you make it. Every hour, every minute, every second counts in the last lap. Everyone you meet is a potential lead. Don’t judge who the person is, you can find a lead in every person. If he doesn’t qualify as your customer, he surely knows someone who does. Success is within your reach – reach out. 9. Keep your confidence and your wit at its very best. Ensure that you inject yourself with positivity on an hourly basis. Whether that comes from listening to good music, tuning into an audio book, consulting with your mentor or just having a friend pep you up¬ do it. You will need every bit of confidence, every pinch of positivity and every piece of your charm to keep you on top of your game, with the attitude of winning, and chances are you will. There will always be pressure. When this month ends, another one will start. When one target is achieved, another one will be set. The game will always be on. The circumstances will always get tougher. The budgets will always get tighter. The competition will always get rougher. If it isn’t easy now, it will not be easy in the future. If you aren’t fit now, you never will be. There is no option other than pulling up your socks, rolling up your sleeves and doing whatever it takes to get the job done. It doesn’t matter how slow your start has been or how far you are still from the finish line, when your mind is made and the decision is firm, success is always within reach-go for it. The quality of your journey is a clue to your destination. If you don't feel satisfaction, fulfillment and pride in what you do today, then where are you heading to in the future? The future is NOW. It is made on what you do and how you feel about yourself today. If you don't find happiness in what you do today, then the destination clearly holds the promise of misery in the future. If you aren't honest today, how will your lies serve you in the future? If you aren't in love with what you do, then frustration waits for you wrapped under layers of achievement that don't matter. If money was not the objective, are you happy with what you do? are you happy with who you have become? are you proud of yourself and your work? If not, then 'check engine' light is ON, indicating for you to take a good look at your life and where you are headed. It would be a disaster to arrive at the end of life's journey only to realize this is not the destination you had in mind. Today is the future of yesterday. If today is not where you had wanted to be, your future dreams will be ever elusive as they are in your present. The future is NOW. Do what makes you happy. Take your time and do that what brings out the best in you, that makes you smile, that makes you special, that makes your purpose a service to others. Isn't that what you had in mind in the first place, before it got infected with what other people think and want from you? Your life is slipping into the past daily. Today and tomorrow are all you have. If today is a life well lived, the future can't but be a consequential honor of your purpose.